If you have access to a WiFi, 3G or Edge connection, you can save money by using the Internet to connect your call instead of using your mobile minutes. No roaming or out-of-network fees. 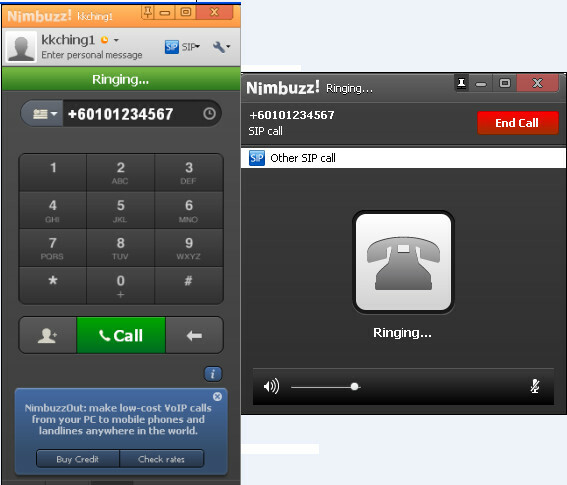 Make your calls from anywhere in the world to anywhere for just a few pennies a minute. 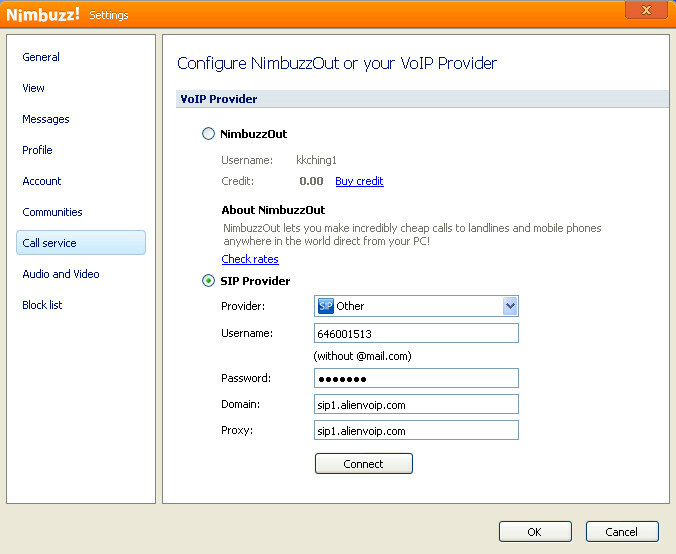 Simple to configure, inexpensive to use Nimbuzz supports SIP, allowing you to easily make cheap mobile calls to landline and regular cell phone (GSM/CDMA) contacts using VoIPonMobile or the SIP provider of your choice, even when your mobile phone doesn’t support SIP. 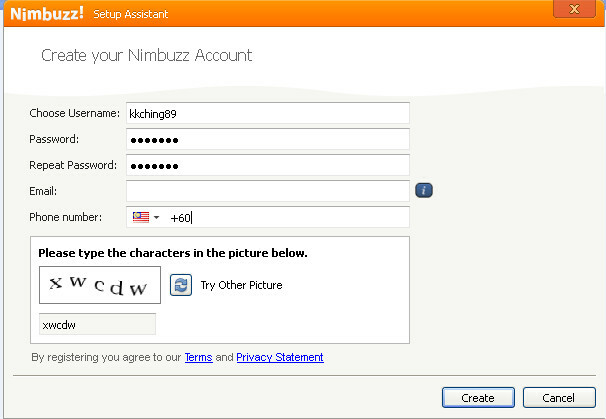 Step 1 : Download and install Nimbuzz at Nimbuzz website. Follow the instructions given and complete the installation. 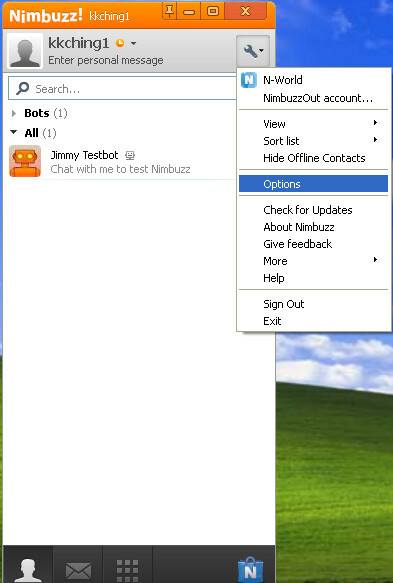 Step 2 : Run Nimbuzz for the first time and it will display as beside. 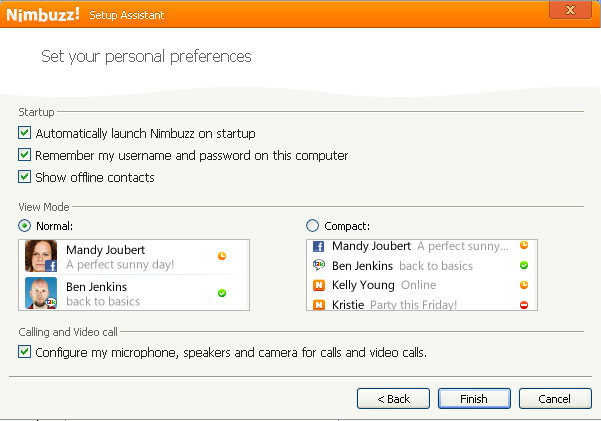 Click “I don’t have a Nimbuzz acoount” to setup an new account. Step 3 : Fill in necessary account information as below then click “Next”. 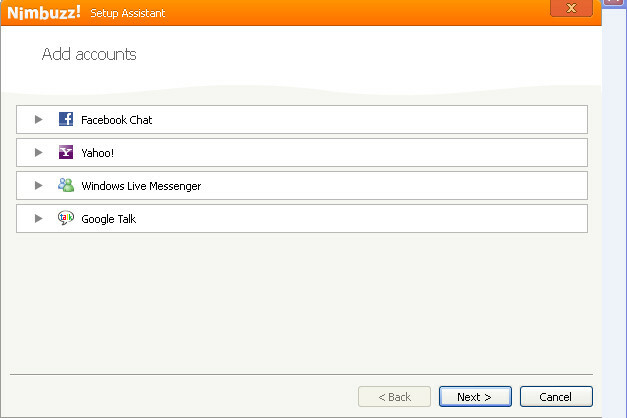 Step 4 : It comes to “Add contacts”, click “Next”. Step 5 : Click “Finish” to complete the registration. Step 6 : Go to Tools > Option to access account settings. 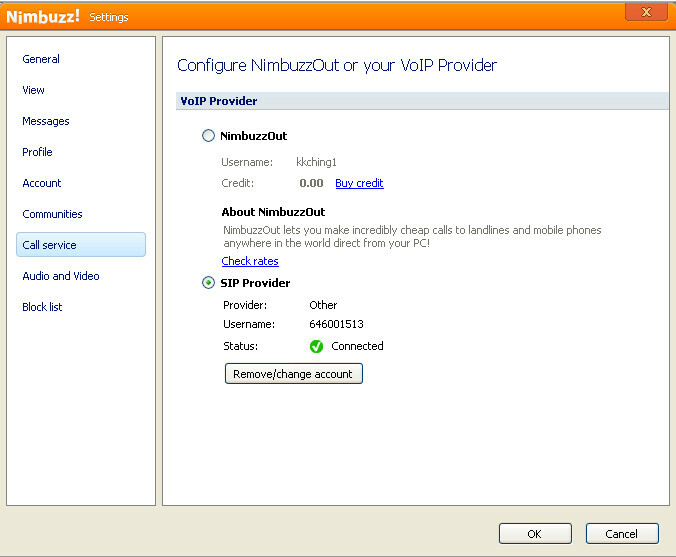 Step 7 : Click “Call service” to configure your VoIP Provider. 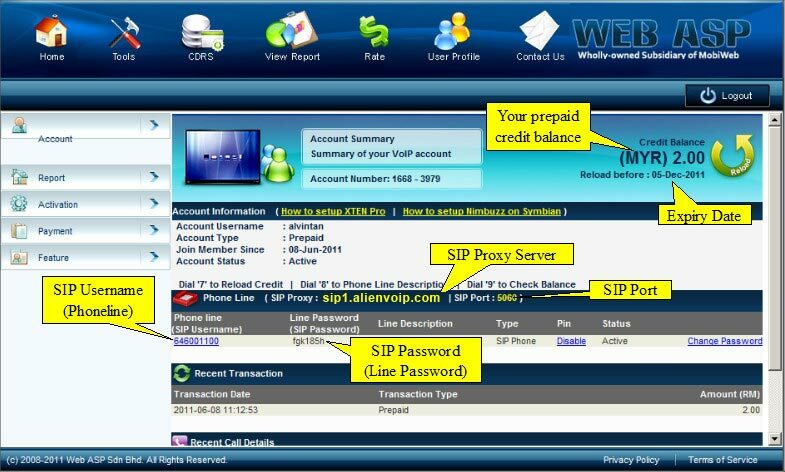 Select “SIP Provider” and fill in the SIP account details via our AlienVoIP Management System, then click “Connect”. 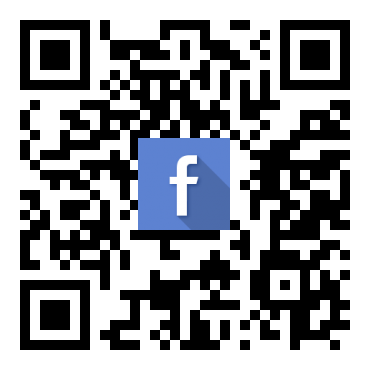 ** If you haven’t registered an SIP account through our AlienVoIP, please click HERE to guide you for registration. Step 8 : It will show as below. Click “OK”. to make a call. Enjoy our lowest AlienVoIP call rates now.